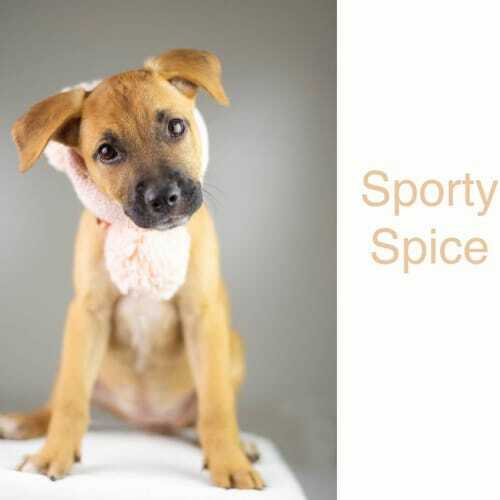 Meet Sporty Spice! Yo, I'll tell you what I want, what I really really wantSo tell me what you want, what you really really wantI'll tell you what I want, what I really really want - new forever Home!I’m such and active Sporty kinda Girl! 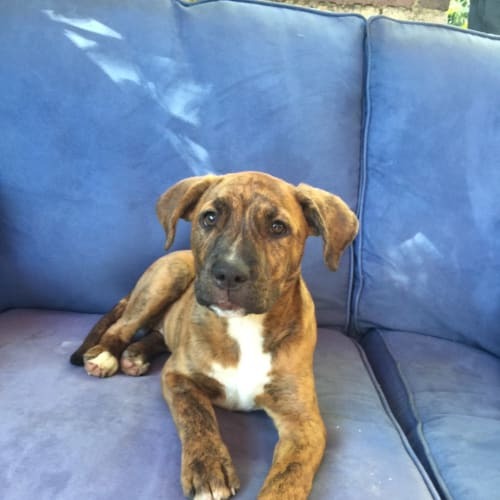 With a super sweet personality and a gorgeous tan coat and the prettiest face of them all!I’m a sweet girl of just shy of 8 weeks old, being a Shepherd mix I would say I’ll grow to the size of a Kelpie (approx.) I’m active and love playtime, being part of a large litter I’m well socialised with other dogs and not to forget my human companions.I will need to be trained from scratch as being a little one I don’t have those skills yet. I would benefit being in an active household with lots of playtime and room to roam.I see myself as a girl that will enjoy long walks and sporty days and the dog parks.Don’t delay in reaching to meet me and see if I’m that new baby your home is looking for.Please do note:"Applications are open and invited until Sunday the 14th of April. All applications submitted will be reviewed after this date.Successful applicants will be contacted after Sunday 14th of April to arrange an adoption meeting appointment.All in the family including any pets are expected to attend this meeting and if it’s a great fit the puppy will be ready to leave with you on the day.Thank you for your patience while we find this beautiful girl a wonderful forever home." All About Me and My Unique Personality:Lotus is the only tan one in the litter and she thinks this means she's special - she's not wrong either. Lotus is a friendly little girl who loves a cuddle and is right in there when her litter is playing. She's quite happy to keep herself amused with whatever toy or twig she can find and is super excited to meet her new forever family.My Ideal Home:Lotus will need to have a family that is committed to her ongoing training and socialisation so that she grows up to be a sweet well mannered girl. Her new family will need to sign a desexing agreement which stipulates she will be desexed by a HAR Vet when she is 5mths old. She has had her first vaccination and is due for her second one early April.What is Known About My Background:Lotus and her siblings were left in the overnight cages at a local pound. Unfortunately they were in pretty poor condition, however with the love and support of HAR they are now thriving and ready to start the next chapter of their lives.How Do I Interact with Kids, Dogs, Cats and Other Pets:Lotus loves the resident Staffy and simply adores children. She has seen the cats through the screen door and with the proper introductions should have no issues becoming fast friends with them. All About Me and My Unique Personality:Luther is the biggest of the litter along with his bro Cosmo. 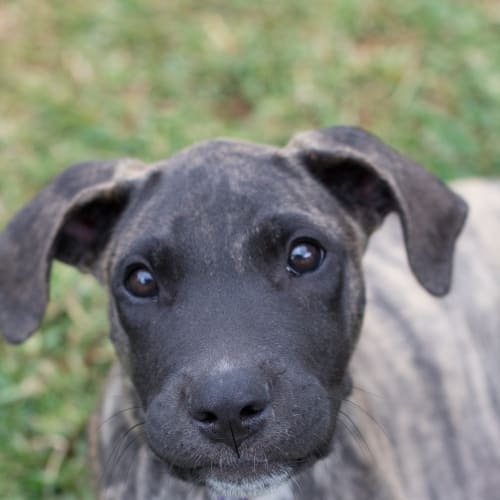 He's a super sweet boy who is on the quiet side and loves to play with his siblings or fall asleep in the sun.My Ideal Home:Luther will need to have a family that is committed to his ongoing training and socialisation so that he grows up to be a sweet well mannered boy. His new family will need to sign a desexing agreement which stipulates he will be desexed by a HAR Vet when he is 5mths old. Luther has had his first vaccination and is due for the second one early April.What is Known About My Background:Luther and his siblings were left in the overnight cages at a local pound. Unfortunately they were in pretty poor condition, however with the love and support of HAR they are now thriving and ready to start the next chapter of their lives.How Do I Interact with Kids, Dogs, Cats and Other Pets:Luther loves the resident Staffy and simply adores children. He has seen the cats through the screen door and with the proper introductions should have no issues becoming fast friends with them. 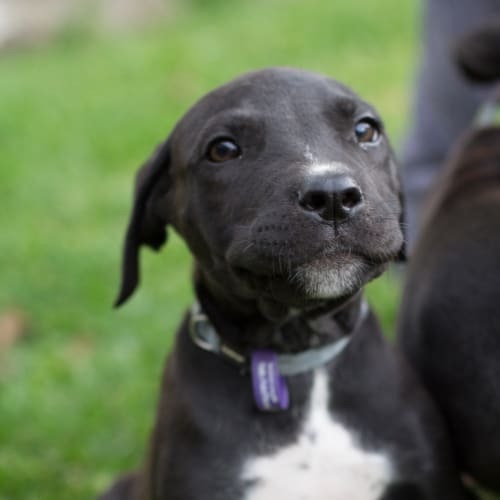 All About Me and My Unique Personality:Violet is a happy little girl who loves to play with her siblings. She loves her food and playing with her toys. 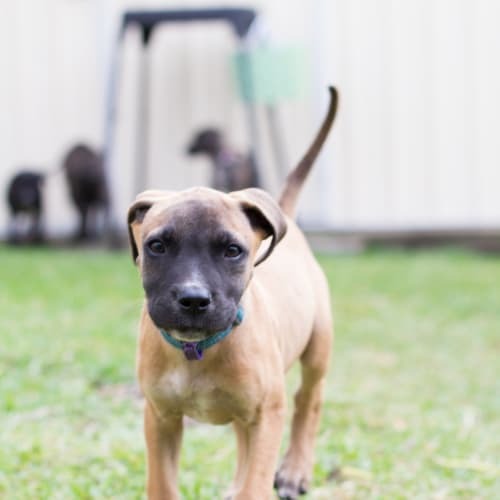 She's always super excited to see you and is looking forward to meeting her forever family.My Ideal Home:Violet will need to have a family that is committed to her ongoing training and socialisation so that she grows up to be a sweet well mannered girl. Her new family will need to sign a desexing agreement which stipulates she will be desexed by a HAR Vet when she is 5mths old. She has had her first vaccination and is due for her second one early April.What is Known About My Background:Violet and her siblings were left in the overnight cages at a local pound. Unfortunately they were in pretty poor condition, however with the love and support of HAR they are now thriving and ready to start the next chapter of their lives.How Do I Interact with Kids, Dogs, Cats and Other Pets:Violet loves the resident Staffy and simply adores children. She has seen the cats through the screen door and with the proper introductions should have no issues becoming fast friends with them. 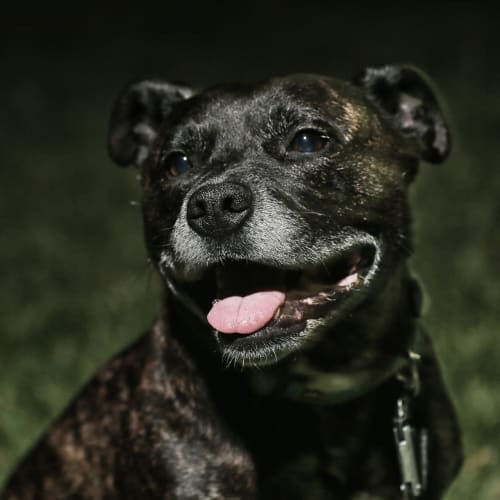 Robbie is a small seven year old English staffy with a lovely nature. He loves everybody he meets, including kids, is a quick learner and wants to please. 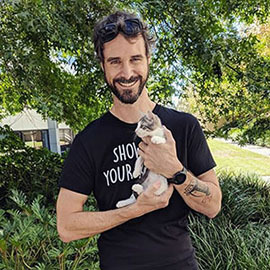 Robbie loves people so much that he wants someone who can be home with him for most of the day. He’s happiest sitting by your side, lying in the sun, or riding in the car. He walks well on lead but can get a bit excited when in a new neighbourhood where he still pulls at times.Robbie had a hard life before he came to his foster home and requires ongoing medication to manage his separation anxiety. Although he can be left at home alone at times, he would be best suited to a family where someone is home most of the time. He loves the comfort of inside, needs to be left indoors when you go out. 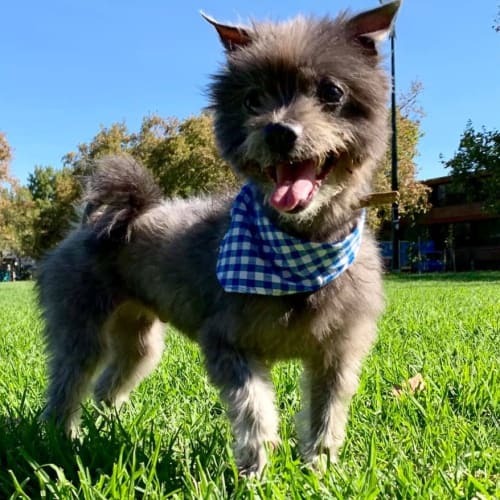 While in foster care he has made great strides in feeling more secure and confident and we are sure he will continue to gain more confidence in his next loving home. 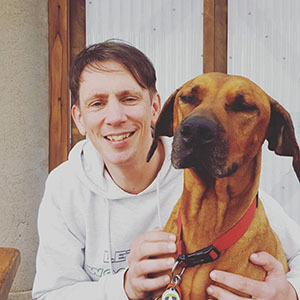 While he doesn’t like cats, or small dogs that bark at him, Robbie can get along with some dogs with the right introduction. At home he is more suited to being the only dog and be the centre of attention. He would love a yard to run around in, and given his love of the chill life is suited to a home with older children/teenagers.Do you have room in your home and heart for handsome Robbie? Please only enquire if you have the time to give Robbie the attention he needs, help him feel secure and continue to work on his anxiety issues. Meet Mr Snoops! 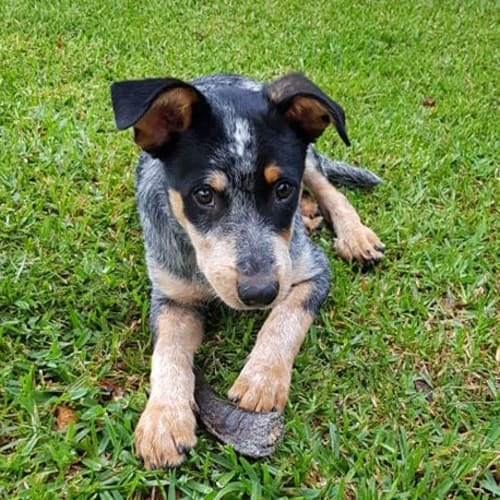 A 4 month old Cattle dog X who is sweet natured and gentle. Snoops loves to play with his puppy sister and looks up to his big Foster brother. 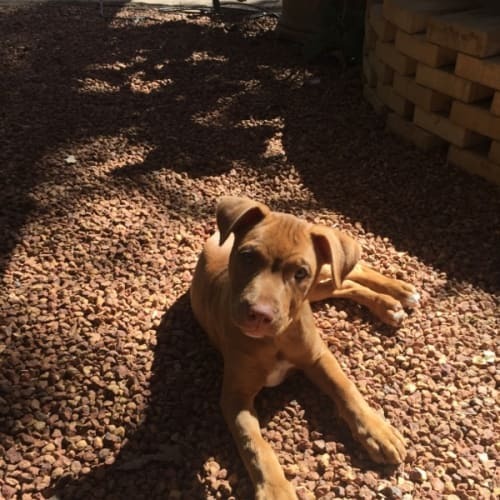 He would best suit a family that already has a high energy or young dog for him to bond with. Snoops is as cute as they come and has a beautifully soft silky coat that you just cant help but want to give him a snuggle. However Snoops isn’t quite as brave as his sister just yet and is a little timid around new humans. Snoops is doing well learning that pats and cuddles are good and he can trust his humans. 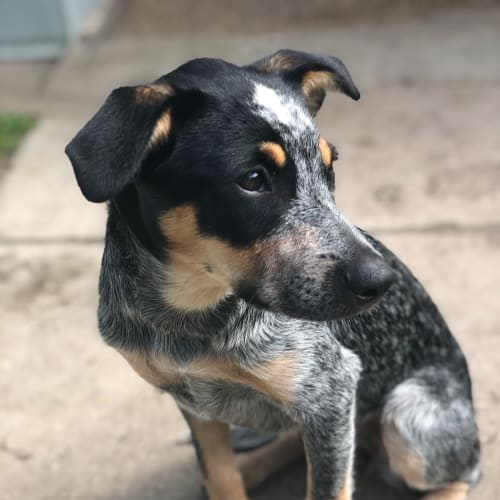 He needs a family with time to continue his training in a calm and nurturing environment, children would need to be well behaved and sensitive while he learns to trust his humans and enjoy their company. Snoops is learning how to sit and getting used to sleeping in his crate. 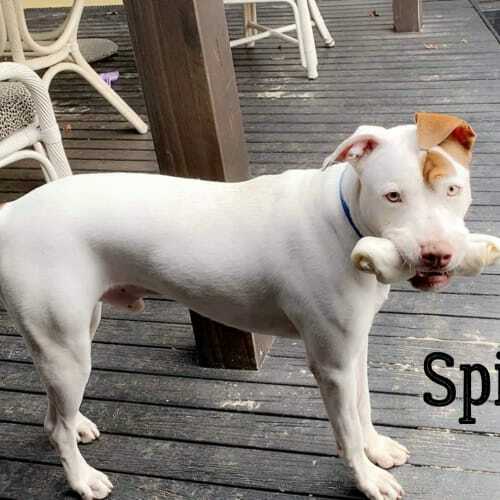 Snoops is looking for his forever home where he will be loved and included. Snoops appears to be a lower energy pup in comparison to his puppy sister he is happy to snooze and entertain himself with a chew toy. However the ideal family would be one who understand the mental and physical stimulation needs of his breed and are committed to ongoing training.If this sounds like you please send us an email. 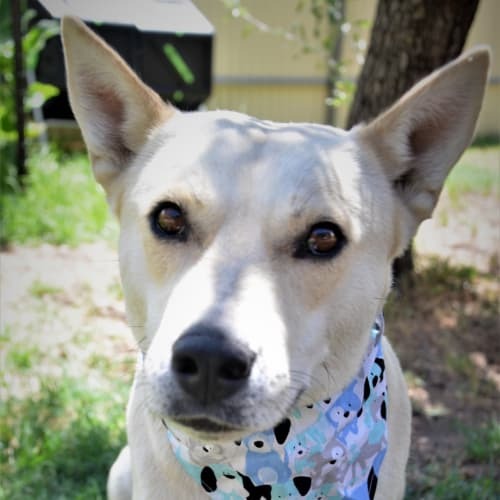 Jasmine is a beautiful creamy Kelpie x Cattle dog. She's 18 months old and ready to find her furever home. She's the most affectionate girl and loves lots of cuddles. Jasmine has fitted right into her foster home and has learnt how to wrestle and play nicely with other dogs but she also loves time by herself or one on one with a human. She is a quick learner and has mastered the basics of sit, stay and comes to her name. She's also walking great on a lead. Jasmine is looking for a home that can give her lots of love, attention and training! She will need mental and physical stimulation to keep her happy. She can't wait to meet you!